"Opioids have this reputation as being really powerful painkillers, and that is not what we found"
This March 23, 2016, file photo shows oxycodone pain pills prescribed for a patient with chronic pain. It was one of the prescription opioids that failed a new test to see if they provided better chronic pain relief than over-the-counter drugs or other nonopioids, according to a study published Tuesday, March 6, 2018, in the Journal of the American Medical Association. A yearlong study offers rigorous new evidence against using prescription opioids for chronic pain. Opioids tested included generic Vicodin, oxycodone or fentanyl patches although few patients needed the most potent opioids. Nonopioids included generic Tylenol, ibuprofen and prescription pills for nerve or muscle pain. The study randomly assigned patients to take opioids or other painkillers. That's the gold standard design for research. If they don't work better than less risky drugs, there's no reason to use opioids given "their really nasty side effects — death and addiction," said lead author Dr. Erin Krebs, a physician and researcher with the Minneapolis Veterans Affairs Health Care System. The results likely will surprise many people "because opioids have this reputation as being really powerful painkillers, and that is not what we found," Krebs said. The results echo less rigorous studies and bolster guidelines against routine use of opioids for chronic pain. The study was published Tuesday in the Journal of the American Medical Association. About 42,000 drug overdose deaths in the U.S. in 2016 involved opioids, including prescription painkillers, heroin and fentanyl. Many people get hooked while taking opioids prescribed for injuries or other short-term pain and move on to cheaper, more accessible illicit drugs like heroin. 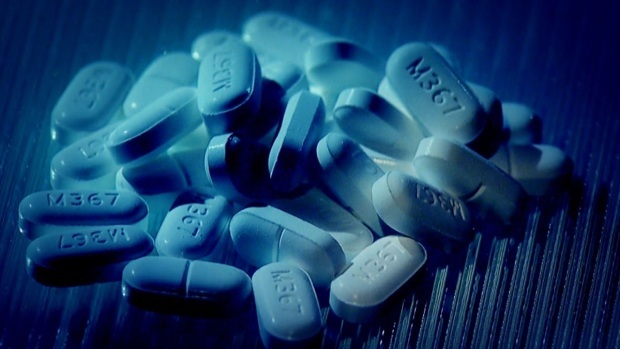 A report released Tuesday by the Centers for Disease Control and Prevention found emergency rooms saw a big jump in overdoses from opioids last year. Opioid overdoses increased 30 percent late last summer, compared to the same three-month period in 2016. The biggest jumps were in the Midwest and in cities, but increases occurred nationwide. The report did not break down overdoses by type of opioid. U.S. government guidelines in 2016 said opioids are not the preferred treatment for chronic pain, and they recommend non-drug treatment or nonopioid painkillers instead. Opioids should only be used if other methods don't work for chronic pain, the guidelines recommend. Prescribing rates have declined slightly in recent years although they are still much higher than two decades ago. The White House has asked Congress to approve more than a billion dollars in emergency funding to combat the nation's growing opioid addiction crisis. The Obama administration also announced that it's loosening restrictions on a drug called buprenorphine used to ease addicts' cravings. Krebs said the strongest evidence from other studies shows that physical therapy, exercise or rehabilitation therapy works best for chronic pain. And she said noted that there are a variety of nonopioid drugs to try if one type doesn't work. The study involved 234 patients from Minneapolis-area VA clinics who were assigned to use generic versions of opioids or nonopioids for a year. Follow-up ended in 2016. "This is a very important study," said Dr. David Reuben, geriatrics chief at UCLA's medical school. "It will likely change the approach to managing long-term back, hip and knee pain." He noted one limitation — most study participants were men, but Krebs said the results in women studied were similar. The study's opioid patients started on relatively low daily doses of morphine, oxycodone or generic Vicodin. They switched to higher doses if needed or to long-acting opioids or fentanyl patches. The nonopioid group started on acetaminophen, ibuprofen or similar anti-inflammatory drugs. They also could switch to higher doses or prescription nonopioid pain pills. Few in either group used the strongest medicines. Patients reported changes in function or pain on questionnaires. Function scores improved in each group by about two points on an 11-point scale, where higher scores meant worse function. Both groups started out with average pain and function scores of about 5.5 points. 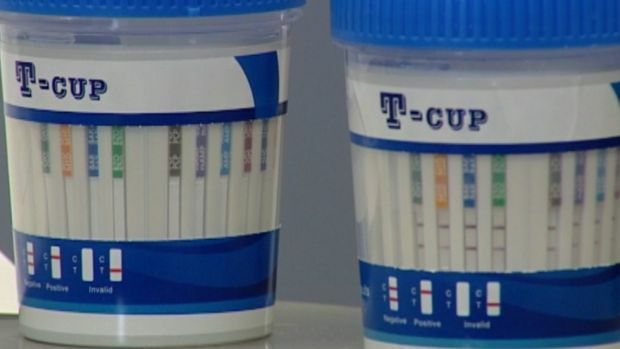 Parents, worried about drug abuse and the country's rising opioid epidemic, are adding drug tests to their child's back-to-school routines this fall in places like Cincinnati, Ohio. Drug testing companies say parents test for amphetamines, barbiturates, cocaine and marijuana use, among others. Pain intensity dropped about two points in the nonopioid group and slightly less in the opioid patients. Other research has shown that over-the-counter medicines can also work as well as opioids at treating short-term pain, including from broken bones, kidney stones or dental work. AP reporter Mike Stobbe in New York contributed to this report.